At 3PL Center, we develop innovative solutions for small to large-sized apparel and shoes businesses that are both newly launched or already established. Fortune 500 apparel and shoes companies are also part of our diverse clientele. Whether you require professional services for warehousing, fulfillment, packaging, and distribution, our industry solutions can be customized to your unique position in the apparel and shoes marketplace. Compared to many other industries, the apparel and footwear industries pay greater attention to logistics. For starters, fashion trends are always changing and there is the presence of hard competition. That’s why supply chain management is considered to be a competitive advantage that’s highly sought after. When it comes to warehousing and distribution needs of the apparel and shoes industry, you would know that things get tricky with the presence of case packs with mixed SKU’s, or the huge amount of SKU’s that need to be managed and stored properly, as well as be ready to be shipped out correctly and swiftly to your customers. Today, the demand for accurate and quick deliveries cannot be over-emphasized, and this generates great focus on having a sound supply chain network design. Due to the labor-intense nature of the apparel and shoes industry, companies need to improve their warehousing practices regularly. At 3PL Center, we have managerial experience within the apparel and shoes industry, and can help to facilitate the logistics process with great expertise. Why Choose 3PL Center for Your Apparel & Shoes Business? Being in the business for more than half a decade and raking up a combined experience of more than 45 years, 3PL Center has worked with many apparel and shoes businesses, ranging from small to mid-sized to large organizations. Since our inception, we have gained invaluable experience in the apparel and shoes niche. We fully understand what apparel and shoe companies need when it comes to third party logistics. Warehousing: Our premium-level warehousing facilities are managed by professional warehouse employees. They trained to ensure security, safety, insurance, and environmental compliance that we feature. We have an organized system to handle your apparel and shoes inventory with exceptional care. Fulfillment: Our 3PL fulfillment services are scalable and affordable. You have complete control over our proprietary fulfillment software, which is designed to update you on the status of your apparel and shoes stock. Distribution: When it comes to distributing your apparel and shoes orders to retailers, distributors, or end customers, we have stellar transportation services in place to optimize the entire distribution process. We are able to facilitate two-day ground shipping for more than 80% of the areas we serve. Customer service is one of the core components of our business model. That’s why 3PL Center practices a client-first approach in what we do. 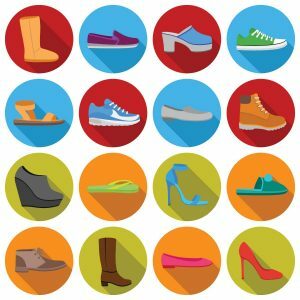 We offer flexible 3PL services to address the unique needs of your apparel and shoes business. Wonder how your apparel and shoes business and our third-party logistics capabilities can go hand in hand? Give us a call at 732-391-2500 or send us an email to sales@3plcenter.com today for more information!